That was a few years ago and a baby later... but, I still get loads of questions about my bed even today. Color trends change all the time, and so did my bed! 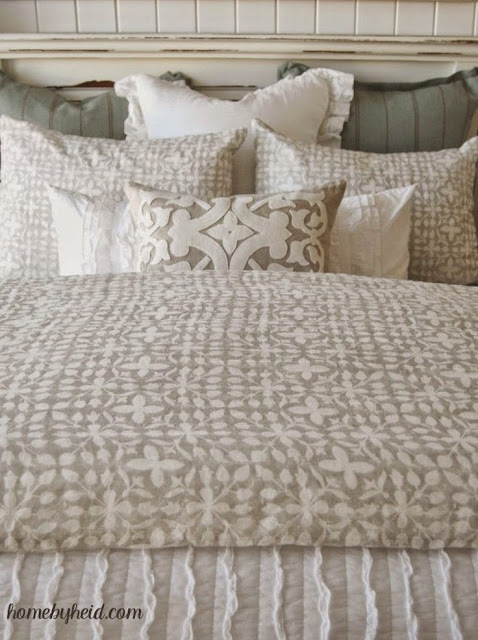 I thought it would be fun to do another overview on some of my FAVORITE “go to” bedding pieces. I’ll also list out what I think is worth paying more money for and what I have found at bargain prices. I will also talk about the 5 Essential Pieces for Your Bed. So you have the perfect mix of beauty and comfort... Here we go!!! #1- Essential Blanket - I use this blanket all year round. In the summer, I use it off and on. In colder climates like mine, we have warm nights and cooler nights most often in the same season. This blanket is breathable. Warm in the winter, cool in the summer. This item is a MUST for me. 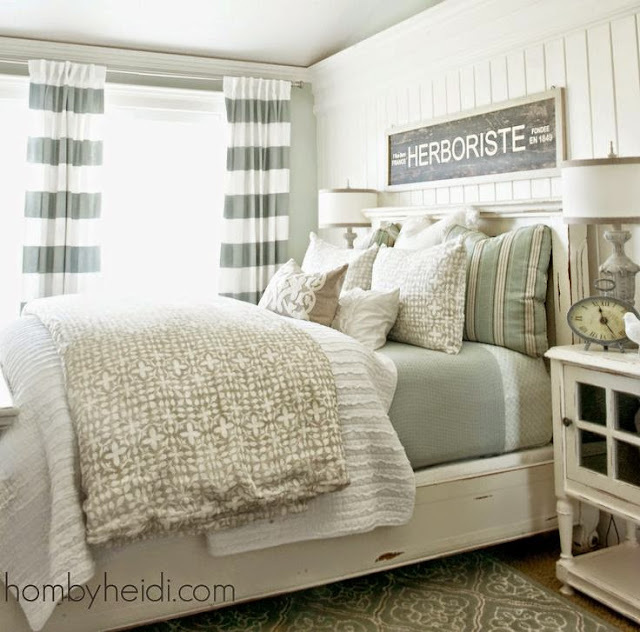 I also find the punch of color always helps to tie in the color scheme of the bedding. This is one item I ALWAYS buy high end. Pottery Barn is my favorite source! You can also use a duvet or coverlet. Whatever you personally prefer. #3- Down Comforters...under that puffy quilt you see in the picture above are 2 down comforters. One is a thinner blanket, I sleep with it in the winter. The other I ALWAYS have on my bed all year long. This comforter is for the "look" of the bed. I do have to tell you . . . the thicker comforter is NOT something you want to sleep with because its very thick and heavy. At night, I just throw the bigger one at the end of the bed without a fuss. I like buying my thinner comforters at discount places like TJ Maxx or Home goods. I suggest buying high-end for that PUFFY Decor comforter! 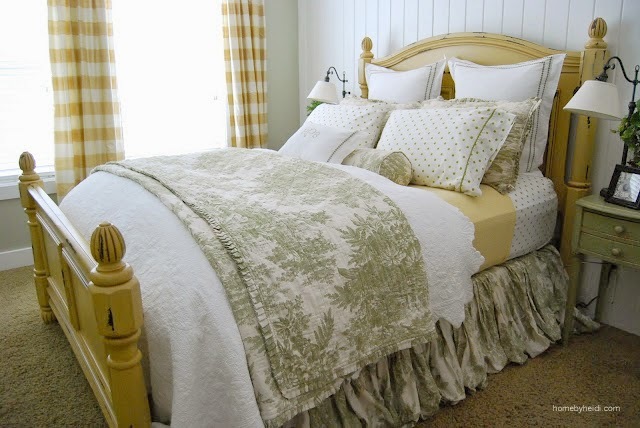 #4- The Pretty Stuff... the best foundation for a bed is keeping it “basic.” If you use a neutral quilt, and what I call “foundation pillows and bed skirt” it will last longer and become easily intermixed with all bedding. The foundation of my bed is the white Quilt and White Shams. With neutral as your basic foundation, you are free to add all the FUN and Pretty Stuff easily. Add colorful Shams, a colorful Quilt or Duvet to fold at the end of the bed and fun Throw Pillows. If you ever tire of these items, you can buy low-end items to change up your bedding without breaking the bank! 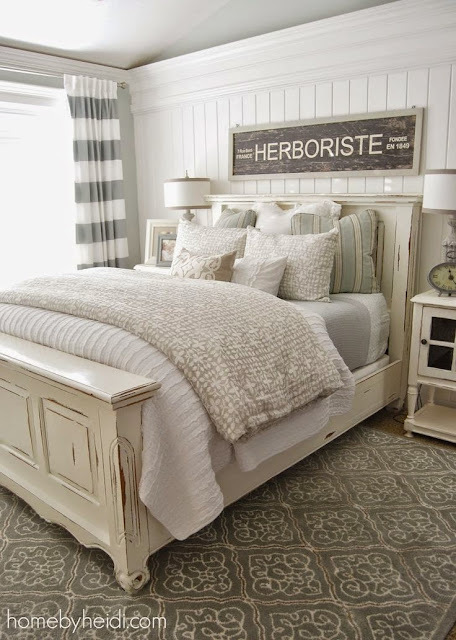 Build the Foundation of your bed for the always-changing trends! I used to splurge on SUPER expensive sheets, but now I am LOVING the Threshold line from Target! Read more on this subject HERE. They are currently my Fave! And when you are at it, why not get that REALLY good mattress for a perfect night sleep! That pretty much Sums it up. If you have any more questions PLEASE email me or sent a leave a comment on Instagram!!! Love the after! Thinking about getting the Target Threshold sheets you recommend - can I ask if you find them cool/light/good for summertime? Egyptian cotton is nice and soft, but is too warm for our summers. Thanks! I love this room - I'm trying to do something similar in a home we're moving into soon. Is the wall color SW Rainwash? And is the blanket similar in color to the wall? Do you know the pattern name of the duvet? And then, what color is the stripe in the curtains? Love the sign about the bed...what does it mean? And where did you get it?